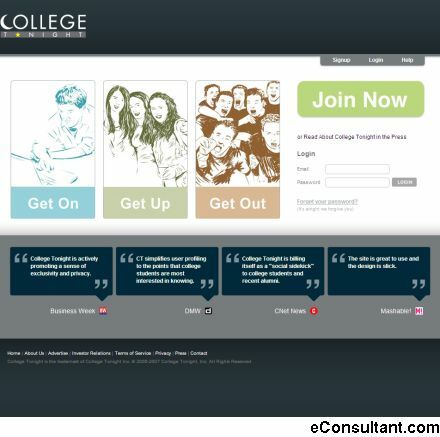 Description : College Tonight, LLC is the brainchild of a college student who conceptualized an online network that would actually promote socializing, rather than encouraging people to sit behind a computer and dream about human interaction. Focusing on the local nightlife that surrounds each college, College Tonight is so much more than a source of nightlife information. This site is a social sidekick, a purveyor of dreams.